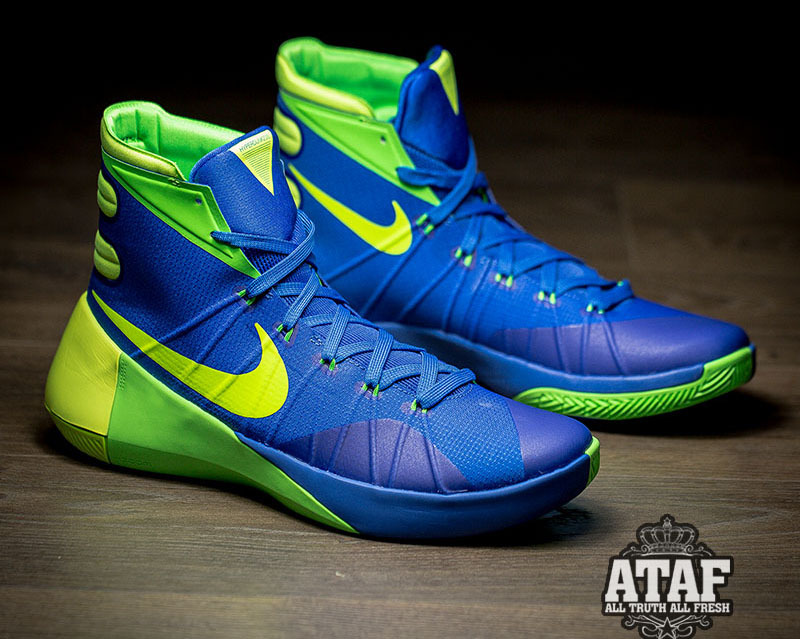 Hyperdunk 2015s with a similar look. The "Sprite" colorway shows up most often in the Nike LeBron line, but the Nike LeBron line isn't the only one to use the look. 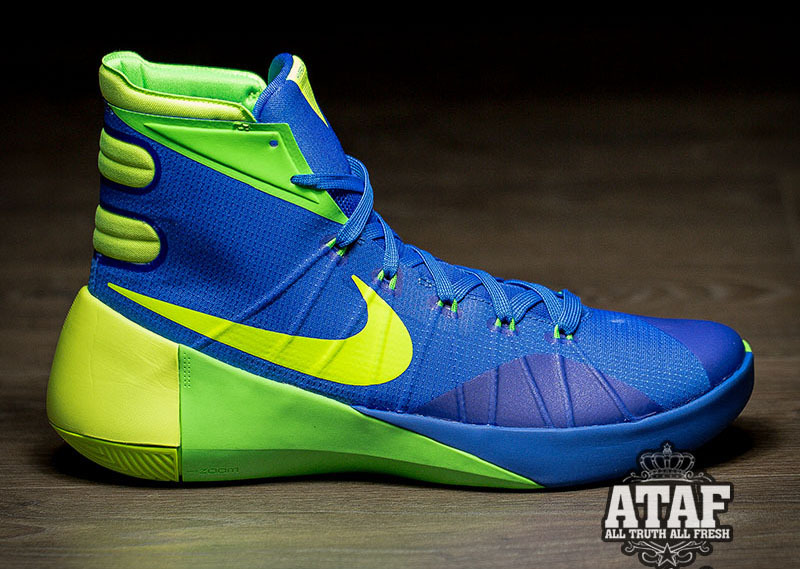 Take this Nike Hyperdunk 2015 for example, which has a mixture of blue and neon green that feels a lot like the one most commonly associated with the soda in question. The Nike Hyperdunk line is a lot less likely than any given Nike signature line to use themes, so don't expect this pair to explain its colors. 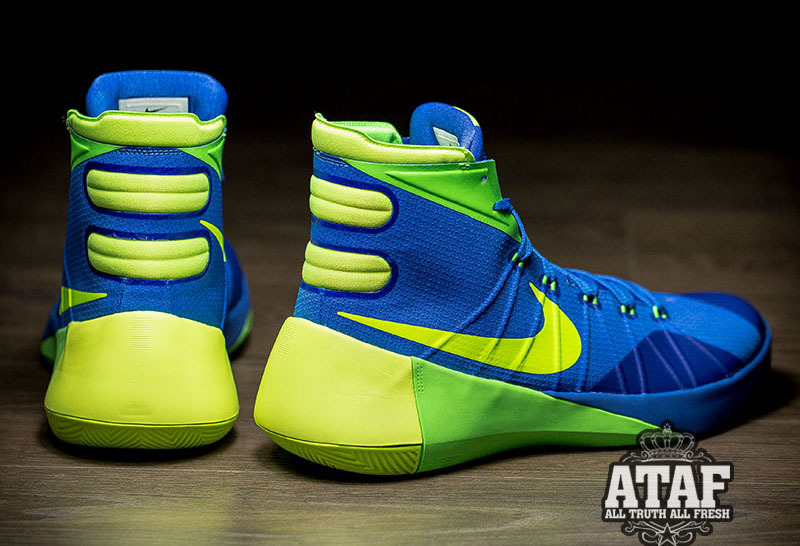 The Nike Hyperdunk 2015 will make its debut in July – no word on when this particular colorway will show up.